Last night, millions watching the Republican National Convention saw potential first-lady Melania Trump deliver a powerful speech to the delegates that brought on thunderous applause for her husband, and Republican candidate for the president, Donald Trump. But the keen eared among the viewers knew they had heard parts of her speech before. Several portions of Melania’s speech were extremely close to an address Michelle Obama gave at the 2008 Democratic National Convention. Side-by-side comparisons of the transcripts of both speeches show Melania following Obama’s speech nearly word-for-word at portions. Michelle Obama: Because we want our children — and all children in this nation — to know that the only limit to the height of your achievements is the reach of your dreams and your willingness to work for them. Pope Francis has had it up to HERE with Ruben Amaro Jr.’s nonsense. 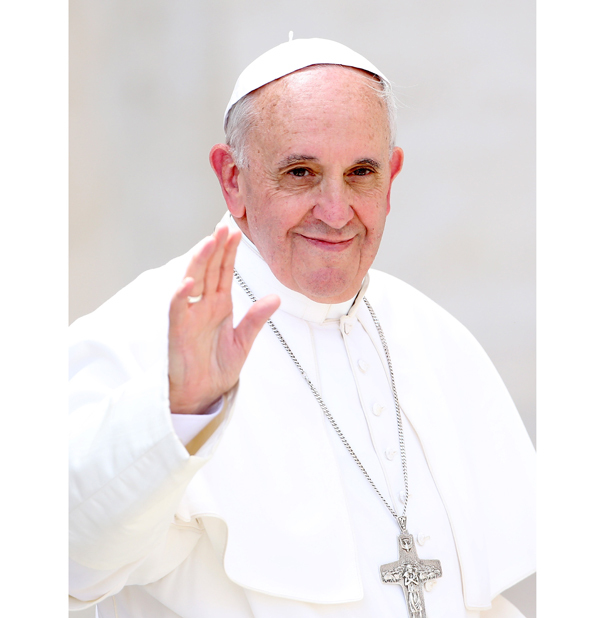 Philadelphia, PA – Pope Francis gained a few more followers in the city of brotherly love today, as he endorsed a Vatican referendum condemning Ruben Amaro Jr. to hell. Pope Francis, who is scheduled to visit Philadelphia in September, said he heard the citizens of Philadelphia loud and clear. Francis waved both hands at the audience as he was greeted with raucous cheers. He most certainly endeared himself to Philadelphians who prayed on bended knee day and night this past off season for Amaro Jr. to finally meet his maker and be cast into the foulest depths of the afterlife. Francis gave his blessing to those who wished ill will towards Amaro Jr., citing the once mighty Philadelphia Phillies fall from grace as “reason enough” to wish someone’s soul to roast on the coals of hell for all time. Francis promised he would make the decision official during his September visit. He urged all Philadelphians to bring various Ruben Amaro Jr. pictures and paraphernalia to the ceremony, promising it would be one to remember. “To make up for his tomfoolery, I have also decided to nominate Harry Kalas for sainthood. Lord knows he did more for this city than Rube ever did,” Francis declared.